Posting this here since I'm feeling a tad guilty about how often Math-Frolic posts reference back to Keith Devlin! !… but the man isn't simply prolific, he's incredibly insightful, curious, and hard-working... and, has an endearing British accent ;-). The post is actually a bit dry reading but still chockfull of what to expect in the way of form and organization from this particular MOOC. And importantly I think, toward the end Keith writes, "This course is about learning to think a certain way – the focus is on the process not the product. You will need time to understand and assimilate new ideas. Particularly if you were a whiz at high-school math, you will need to slow down, and to learn to think and reflect (and ideally discuss with others) before jumping in and doing." "The lecture videos are not carefully crafted, heavily edited productions. If you want a polished presentation of the course material, you can read the course textbook. My goal with the lectures is to provide as best I can the experience of sitting alongside me as we work through material together." When Sol Lederman asked me, in a podcast, what I'd suggest to a parent of a youngster having difficulty with math, the best I could offer was to search the myriad digital-learning offerings of the Web (unavailable to previous generations) for something that the child would "click with." For one child it might be a Khan Academy type format, for another an animated cartoon setting, and for another an interactive game approach or other tutorial. ...But I'd like to broaden out that whole line of thought. 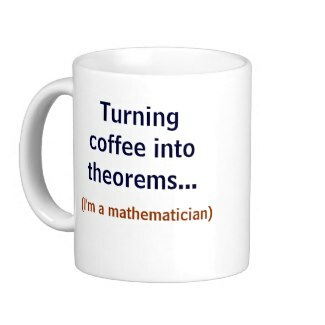 Anything I say here is merely shooting from the hip, since I'm not active in the loop of secondary education, but I do inevitably read the ongoing debates over secondary (and elementary) math education, and also Web-based tutorials. 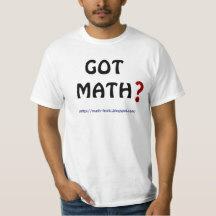 The usual constant refrain of course is that math education in this country (U.S.) is not very good; we're falling behind other countries; students are too often turned off to math; we must improve… and these concerns have been around for decades; today the internet simply amplifies the discussion. A couple of my own youthful years involved the short-lived experiment that was the so-called "new math" which ended largely in disarray (not so much because the concepts behind it were poor, but because they just weren't age-appropriate for the young minds they were addressed to). I too have always concurred that math education ought be improved. But the implication of all this sound-and-fury has long been that there was a magic bullet out there somewhere that would solve the problems if only we could find it, develop it, and spread it across the schools of the land. I'm doubtful now of that one-size-fits-all scenario. The longer the debate continues, the more likely I think it is that there is no magic bullet or "best way" to teach math (though certainly some techniques are better than others for most students). Instead, education may eventually move toward a highly "individualized" format… analogous to what is happening, slowly but surely, in medicine, wherein future treatments will be customized to the specific genomic profile of the individual. Medicine of today, by comparison, will seem primitive, crude, even unempirical. I suspect education is headed (slowly) in the same direction. We will find that different youngsters simply have different "learning styles" (perhaps even partially genetically-based) -- some very visually-oriented, some more auditorily so, some needing hand-eye coordination interaction or other movement, etc. etc. A very good math-teaching technique, rather than being effective with say 70-80% of students, may only be really effective with say 19% of students… while a different technique/format may work best for another 16%, and another technique for a different 14%, on down the line, but with no one method really predominant. (And, there will always be some subset of students for whom no technique is terribly successful, so weak is their aptitude for mathematical skills). The greatest focus of controversy in recent times has been Khan Academy… with critics and proponents in abundance. But Khan Academy is not a finished product… it is a work-in-progress, bound to evolve over time, hopefully constantly improving (many criticize the quality of production, but that can easily change). It is likely effective or ineffective for different sets of individuals. I just don't see it as either good or bad overall. Moreover, some vocal critics of Khan may, consciously or unconsciously, simply fear for their own careers (and thus lack full objectivity) if Khan-type resources too heavily infiltrate the educational system. More generally, some folks are claiming the video lecture style will never be an effective teaching device… I'm not convinced that isn't a premature judgment -- first, because I suspect some small percentage of young people actually DO learn effectively from video lectures (that they can view and pause on their own time, at their own pace), but moreover because it's still early in the technology. Those videos may eventually be in 3-D, which could make a large difference; or alternatively the videos may eventually be more interactive -- NOT interacting with the speaker who is still pre-recorded, but with a live (paid) individual who acts as tutor or assistant, or even an advanced Siri-like robot. Other future technological possibilities may be barely imaginable right now, but still come with a core component of video lecture, which, once embellished, is far more effective than today. It's just too early to tell. Having said all this, Keith Devlin is coming out (any day now) with his own math learning video games, via his own private company (innertubegames.net once it goes live). I'll be hugely interested to see what his effort looks like... could it be the 'one-size-fits-all' I'm so doubtful of, effective with a great majority of students? (I'm skeptical, but also anxious to see it; a lot of time, study, and effort has gone into the project, and anything from Keith has to be taken very seriously). At any rate I feel optimistic that the digital revolution in education, and specifically math education, will be an immense step forward in some form -- that in the future more young people will learn more math, earlier and faster, and with greater enjoyment than ever before, through a large array of disparate methods semi-customized to each individual. It won't come overnight or without intense arguments or even false paths and problems, but it's on the way, and best of all will be scalable worldwide. Sal Khan's ideal of a level playing field all across the globe, however it comes about, isn't just a noble goal, but a necessity for the future of human society. There is a related issue to all of this, which I almost view as the thorniest part though: I grew up in a day when some students graduated high school who could barely read or write let alone possess math literacy. I don't know how this routine "passing students along" from one level to the next ever came about, but it was certainly part of the motivation for the standardized "year-end" test requirements that were soon implemented to insure a level of achievement before moving on to a higher class level. And soon after standardized tests propagated so did "teaching to the test," the insidious tendency for teachers to forgo normal teaching material in order to concentrate on specific skills for passing tests. Wrapping up, I think the digital resources and methods for successfully teaching mathematics are probably already available or rapidly under development… THAT part of the education problem, will readily be resolved given time. But the issues surrounding fair and accurate achievement testing may be a harder conundrum-to-crack, especially to the extent that teachers themselves are reviewed/judged by their students' very test results. But those of you who are in the trenches feel free to enlighten me; I'm just rambling off-the-cuff here…. As someone who last took a statistics course 35 years ago, I could never have foreseen the popular rage that statistics and data-crunching would become in current times (I still recall, and wrote about, my introduction to statistics as a youngster in a museum, though I didn't know it as such back then). And I haven't yet read Nate Silver's huge bestseller "The Signal and The Noise" -- I assume it is good and probably has a strong Bayesian tilt. 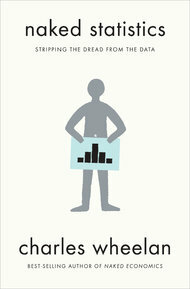 But I love the volume I've just finished reading (which doesn't even mention Bayes): "Naked Statistics" from Charles Wheelan -- it's likely the best, most palatable introduction to statistics for layfolks I've ever seen. Not at all overly-technical, in fact sprinkled with fun and humor, and full of real-world examples (not abstractions) of statistical thinking in our day-to-day lives. The book has a very nice progression of topic areas from means and medians and 'descriptive statistics,' through probability, correlation, the central limit theorem, hypothesis-testing, and on to regression analysis, but always with an emphasis on understanding underlying concepts, not specific empirical formulas or computation. The author's focus is constantly on educating the reader as to why a basic understanding of statistics is vital self-defense in today's firehose world of information, journalism, science claims, and headlines. Clear examples are drawn from health reporting/diagnosis, gambling, Wall Street and the economic meltdown, polling, sports, business, and other everyday encounters (as well as including a very good chapter on the classic "Monty Hall Problem"). Some reviewers call Wheelan's approach "intuitive," which can be dangerous in so much as applied statistics and definitely probability can actually be very counter-intuitive at times, but again, this book is only dealing in the basics. The one major drawback of the volume is that, as indicated above, there is no discussion of Bayesian analysis, which is sort of the 'golden boy' of much current statistical talk, that readers will miss out on. My favorite chapter may be Chapter 6, describing how a probabilistic "Value at Risk" financial model from "overconfident math geeks" nearly brought down "the global financial system," but every single chapter is simultaneously intelligent and entertaining (...makes me want to read more of Wheelan). "...his multiple real world examples illustrating exactly why even the most reluctant mathophobe is well advised to achieve a personal understanding of the statistical underpinnings of life, whether that individual is watching football on the couch, picking a school for the children or jiggling anxiously in a hospital admitting office." Wheelan incidentally, wrote a prior bestseller, entitled "Naked Economics," which I suspect is equally good if you care to brush up on that field of study. Many people have recently made the case that statistics, in some form, should be part of the core math curriculum for ALL secondary students, and be a basic part of math literacy. Read the above books and links and you'll be on your way to having it covered. In fact, seriously, I think Wheelan's book (or something like it) ought be mandatory reading for all engaged citizenry!